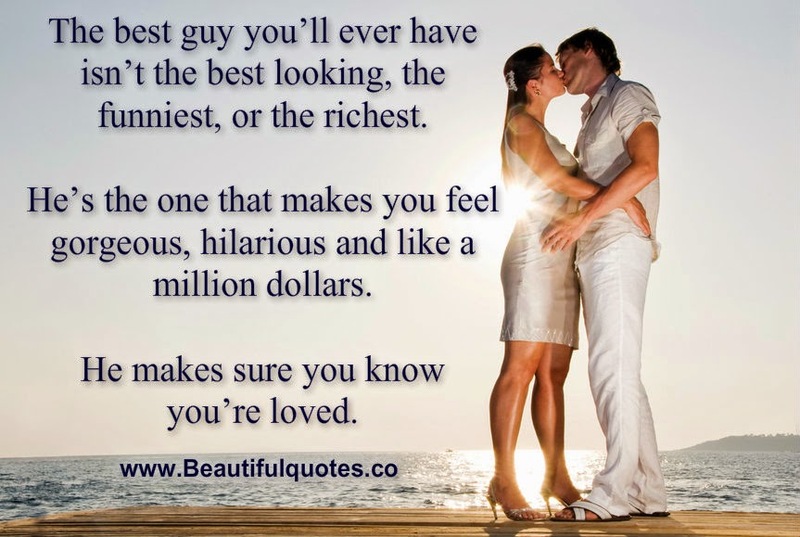 google-site-verification: google8d8438b214143f71.html Beautiful Quotes: Makes sure you know you are loved. Makes sure you know you are loved. The best guy you’ll ever have isn’t the best looking, the funniest, or the richest. He’s the one that makes you feel gorgeous, hilarious and like a million dollars. He makes sure you know you’re loved.